Casey Cox, Executive Director of the Flint River Soil and Water Conservation District, in front of trees. As part of our ongoing #womeninag series, we are highlighting a different leading woman in agriculture each month. This month, we profile Casey Cox, the Executive Director of the Flint River Soil and Water Conservation District. In this role, she manages the Flint River Partnership, an agricultural water conservation initiative formed by the Flint River SWCD, USDA's Natural Resources Conservation Service, and The Nature Conservancy. 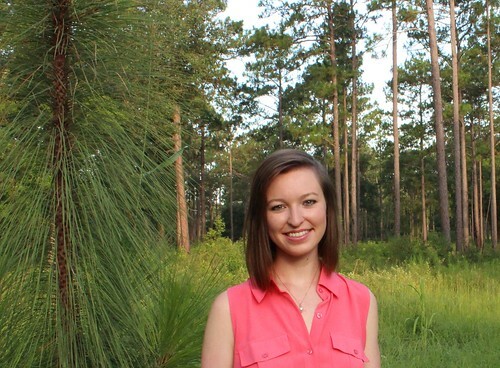 Casey is also learning her family's farm operation Longleaf Ridge, and will be the sixth generation of her family to farm along the Flint River. 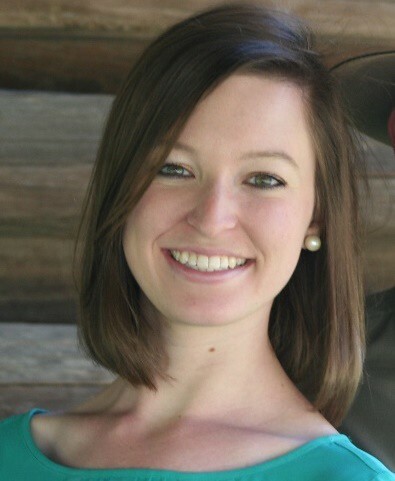 Upon receiving a Bachelor of Science in Natural Resource Conservation from the University of Florida, she returned to South Georgia to support agriculture and ongoing conservation efforts in her local community. My day begins in the Georgia room, a glass enclosure with a breathtaking view of the natural longleaf pine forest surrounding my home. These quiet moments each morning fill me with gratitude to live in such a special place. Our family farm is situated amidst pine flatwoods and oak hammocks bordering the Flint River, which gave me a unique perspective of agriculture in an environmental context. I spent the majority of my childhood in sweet corn and peanut fields, thick woods, or on the river. My parents instilled the value of stewardship in me at a very young age, with a deep appreciation of the land. Knowing that five generations of my family before me depended on the very same land for their livelihoods taught me the true value of conservation. The realization that our livelihood is intertwined with and dependent upon the rare ecological surroundings I treasure so much led me to study Natural Resource Conservation, specializing in agricultural environmental management. While in college, I was drawn to the innovative conservation projects on the Flint River, which ultimately led me to return home. I began working for my local soil and water conservation district to help farmers conserve natural resources in the Flint River basin. Who are your role models in agriculture? My father and mother both come from multi-generational farm families, in Georgia and Florida. Their strong work ethic and love of the land motivate me to preserve the land and resources for many more generations to come. Deputy Secretary Krysta Harden is an incredible role model, not only for me but for all women in agriculture. I am proud to share a hometown with her! What do you think are the biggest challenges for women in ag who are just starting their careers? One challenge many women in agriculture face, especially in rural areas, is isolation. I am so grateful to the men and women of my local community who embraced me when I returned home, opening new doors for me and encouraging me to be involved in many different agricultural and conservation-related groups. The Women in Ag Mentoring Network USDA recently formed is also a great way to connect women all over the country and address this challenge. What are you watching, reading or listening to? I am re-reading one of my favorite books - A Sand County Almanac by Aldo Leopold. Leopold was quite a visionary as it relates to conservation and land management, and his words continue to inspire me. How do you spend the free time you have? I love to kayak on the Flint River in my free time, and I also like to spend as much time in the woods as the South Georgia weather allows, taking walks or riding my bike. My favorite thing to do is to explore - whether it's a new place or right in my backyard. In seven words or less, what is some advice you would offer your fellow women in agriculture? From farmers and scientists to policy makers and communicators, women are at the forefront of agriculture. Check out previous Conversations with #womeninag with Anne Alonzo, Administrator of USDA’s Agricultural Marketing Service; cattlewoman Minnie Lou Bradley of Bradley 3 Ranch; National Young Farmers Coalition founder Lindsay Lusher Shute; Dean of the College of Agriculture at Virginia State University Dr. Jewel Hairston; founder and editor-in-chief of Civil Eats Naomi Starkman; and Oregon Rancher and county committee member Cory Carman. You can continue to follow our conversation with #womeninag on Storify. Is there a leading women in agriculture you would like to hear from? Send us your suggestions using #womeninag or via email at agwomenlead@usda.gov. Casey Cox is the Executive Director of the Flint River Soil and Water Conservation District. In this role, she manages the Flint River Partnership, an agricultural water conservation initiative formed by the Flint River SWCD, USDA's Natural Resources Conservation Service, and The Nature Conservancy. Casey is my niece and I am so very, very proud of her! !